Raw Material: Shiny green/opalescent skin, clear eyes and firm flesh when pressed with finger. The tail cut should display a reddish, light red or medium red blood line. 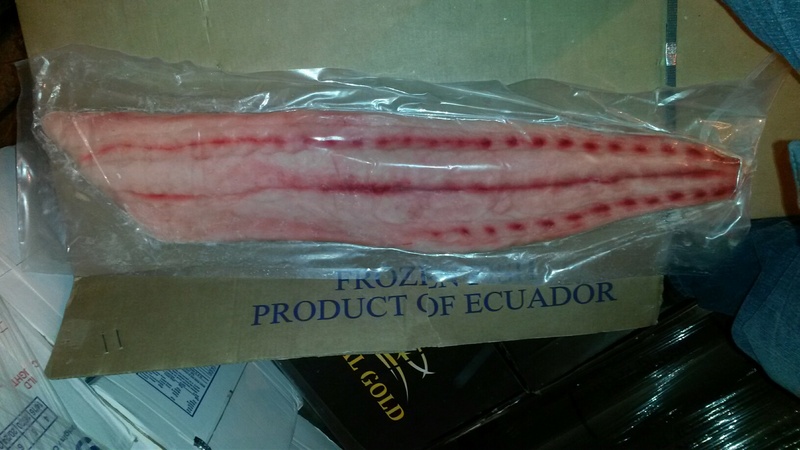 No faded fish, fish with opaque eyes, soft fish or fish with dark or faded bloodlines will be accepted for processing. 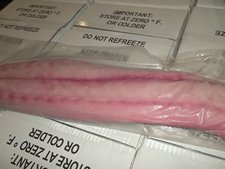 Fillets should all be fresh, firm and natural translucent pale white to pinkish color. No opaque, flat white or greenish meat will be accepted. Bloodlines should be light red or medium red, any brown bloodlines will be rejected when grading. 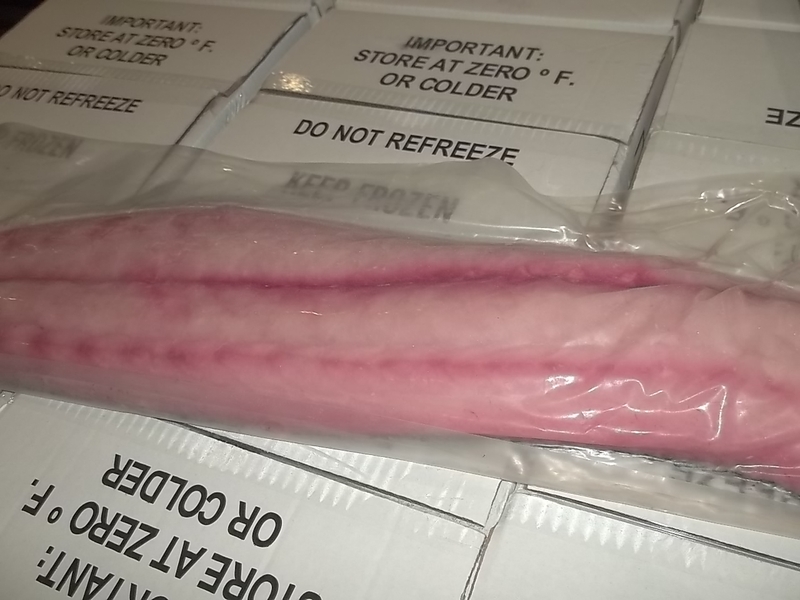 Primary Packaging: Fillets individually vacuum packed in either 1 x 30 lb or 1 x 50 lb master carton. Good quality, leak proof vacuum pack. Product Labeling: Label on width side of master carton.